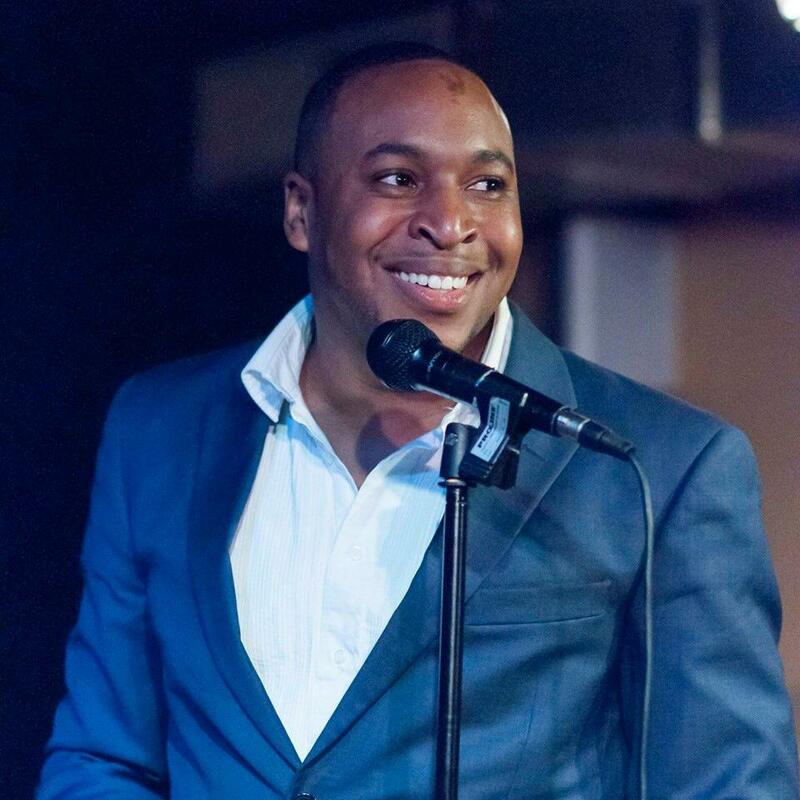 Washington, District of Columbia September 22 — Friday night, patrons will be entertained by Jazz Vocalist Aaron Myers at Mr Henry’s Restaurant at his monthly Fourth Friday Jazz Show. This show will be unique as he will be celebrating the release of his new album “The Lion’s Den” that will be released digitally October 2nd. Physical “Pre-Release” copies of the project will be available for purchase at this time. Myers debuted music from his new album “The Lion’s Den” September 9th at Blues Alley. 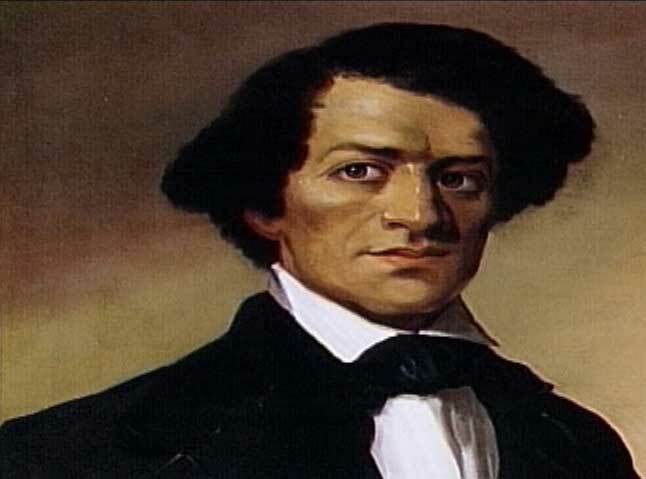 To a packed house, he introduced his version of “I Can Recall,” a vocal version of Chick Corea’s “Spain” with noted soprano Aundi Marie Moore and rapper Pacman Slim. Myers will also kick off his Friday show with a blues he’s sang for years affectionately called “Aaron”s Blues” that is also included on the project. A staple on the DC Jazz scene, Myers brought his show to Mr. Henry’s in June after the closing of the Black Fox Lounge where he served as Resident Artist for five years. Now Resident Artist at Mr. Henry’s, he also serves as one of hosts of the Capitol Hill Jazz Jam every Wednesday night from 8pm – 11pm which was launched by saxophonist Herb Scott. Mr. Henry’s will be introducing a new feature to the popular Friday and Saturday night jazz shows, a reservation component that will offer a special dinner menu and preferred seating. This added element is unique and a fresh addition to typical no cover live music shows. “I’m an independent artist that takes great pride in his art,” Myers said. “This venue respects that and we’ve worked hard to ensure that every aspect of the show experience is elevated, from the plate to the performance!” Mr. Henry’s has served the community since 1966, known as the launching pad for artists such as Roberta Flack and Donny Hathaway. Aaron Myers, known as the “Class Act” and currently ranked the number one Jazz artist in DC on the Reverbnation Jazz Charts, brings his show to Mr. Henry’s the fourth Friday of every month. 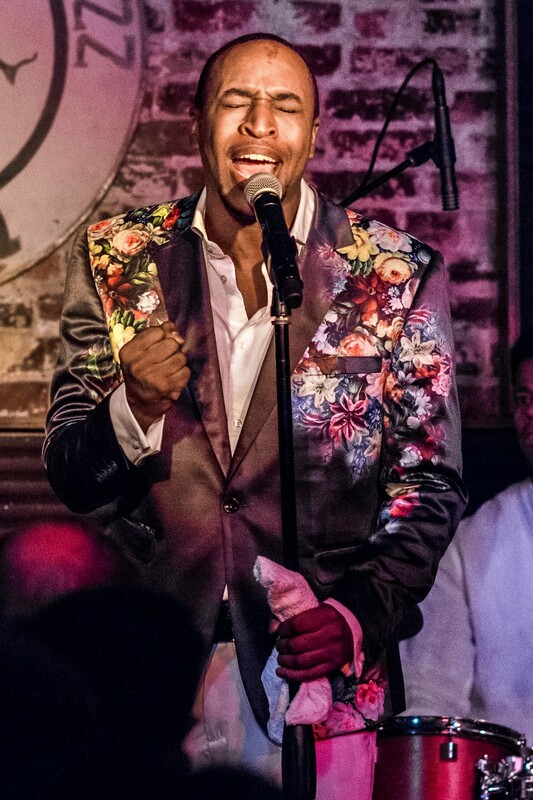 Selected Best Singer in the Washington City Paper’s “Best of DC Readers Poll” for 2015, Myers has currently been selected as a contender in The Blade’s Best of Gay DC Readers Poll as “Best Singer of a Band,” an honor he’s very proud of. Through his partnerships with charities, businesses, and politics, Myers has made an impression on the District that merges art with activism. Visit his website at www.aaron2.me for more information. Friday Night 9/25: Mr. Henry’s Restaurant 8pm (no cover) (No Cover – any questions email aaronmyers@aaron2.me) “The Lion’s Den” will be released on iTunes/GooglePlay/Amazon October 2nd. 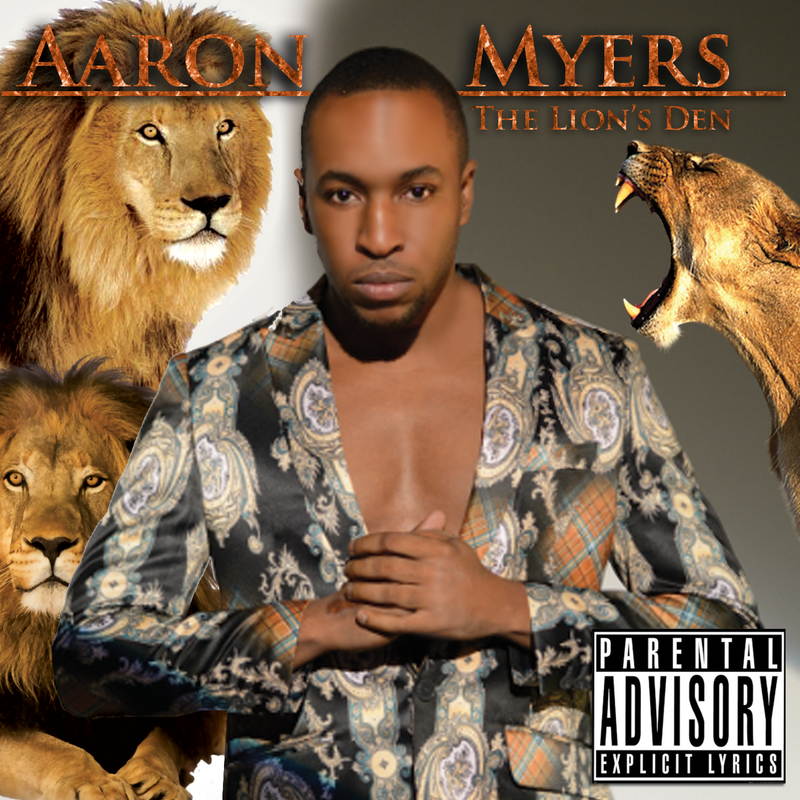 Washington, District of Columbia September 16th — After months of preparation and recording, Jazz Vocalist Aaron Myers announces the release of his new album “The Lion’s Den” that will be released October 2nd. Digital copies are already being pre-ordered on Amazon, with the option to pre-order on iTunes and GooglePlay being available within the next week. “Completing this album has not been an easy task!” said Myers, “But the product is something I’m proud of and displays the true collaboration between genres.” “The Lion’s Den” offers everything from the song “Black Lives Matter” dedicated to the activists of today to a touching tribute to his grandmother Velma Sanders on the last track of the album. “Most people try to stay in their lane either musically, financially, personally, whatever it is. That’s their comfort zone.” said Percy White, bassist on the project. “When I asked Aaron about venturing out of his lane, he said you don’t have to stay in your lane when you own the road. I believe he will own whatever road he goes down. He is my friend and I will be right there with him…enjoying the ride whether he owns the road or is simply passing through.” Myers honed is craft in the church growing up in Goodlow, Texas, a town of only 312 people at the time. He took his love for music with him as he entered the Army and then on to Los Angeles, where he started working in entertainment. Teaming up with other area musicians, Myers reached across genre boundaries tagging noted soprano Aundi Marie Moore and rapper Pacman Slim to join him for his rendition of “I Can Recall” or “Spain” known instrumentally by others. “The Album is an experience waiting to happen from beginning to end” said Pacman Slim. “Aaron Myers is a fantastic artist and it’s truly an honor to be apart of this project” said Moore. Washington’s own Herb Scott, noted Saxophonist and founder of the Capitol Hill Jazz Jam whose featured on the project stated, “Aaron’s music is deeply rooted in the soulful gospel tradition that is the backbone of jazz and that’s why I like working with him. He’s so warm and inviting, just like his music. “When you’re working with musicians you like, fun is only the beginning. Anything else that follows is pure magic” stated Myers. “The Lion’s Den” is set to be released digitally October 2nd on iTunes, Amazon, GooglePlay and other music streaming sites. Physical copies will be available in locations specified by his website. Aaron Myers, known as the “Class Act,” is a native Texan who relocated to DC 7 years ago, and has made DC his home now serving as the Resident Artist at the legendary Mr. Henry’s and Minister of Music at Covenant Baptist UCC. Through his partnerships with charities, businesses, and politics, Myers has made an impression on the District that merges art with activism. Visit his website at www.aaron2.me for more information. “The Lion’s Den” releases 10/2: Mr. Henry’s 9/25 8pm No Cover w/ pre-release CD’s available. Washington, DC, June 3, 2015 – During the 11th annual DC Jazz Festival, Aaron Myers, a local Jazz Vocalist, hosts “Jazz Performers & Jazz Lovers Connect” a night for Jazz Artists and lovers of the genre, to meet face to face outside of the performance venue. On Thursday, June 11th, from 7pm – 12am, Artists and Jazz Lovers are asked to meet for a free networking event at Vida Penthouse Pool Club. Washington has a deep Jazz tradition that predates the Harlem Renaissance and has been the home to several Jazz pioneers including Duke Ellington, Billy Taylor, Shirley Horne and many more. With Venues like the Howard Theater and the Historic U Street Corridor, Jazz artists have performed at many DC venues throughout the years. Next week, Washington will welcome thousands of Jazz Artists and lovers of the genre to participate in the 11th Annual DC Jazz Festival from June 10th – June 16th. Several venues, both traditional and non-traditional, across DC will open their doors by participating with the festival’s “Jazz in the Hood” series which brings jazz to many neighborhoods across DC. “Jazz Performers & Jazz Lovers Connect” will kick off at 7pm and go until midnight, allotting time for many artists whose shows may just be ending at 9pm or 10pm. Artists are encouraged to bring their music and promotional materials for upcoming shows and future Jazz Jams. This is an event free of charge to the public. 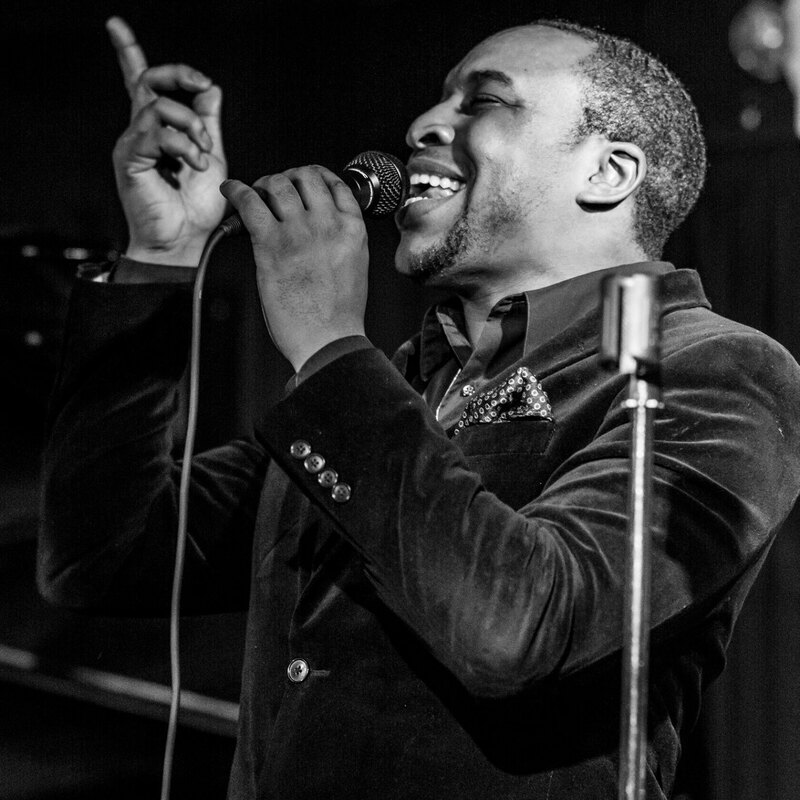 Washington, DC, October 20, 2014 – Local Jazz artist Aaron Myers has garnered attention from independent music professionals across the Globe. It was announced Wednesday October 15th, Myers is ranked Number One on the Reverbnation Jazz Charts for Washington DC, the United States and World Wide. He has maintained this rank since that time. “Growing up in a town of about 300 people in Texas, being ranked Number One is indeed a dream come true”, Myers said Friday night at his show at the Black Fox Lounge in Washington, DC. Myers is the Resident artist at the Black Fox Lounge completing over 138 shows since 2009. Reverbnation is comprised of over 10.6 million music and entertainment professionals globally. Ranking systems are based upon several factors ranging from downloads, song plays, profile views, etc. Since 2006, Reverbnation has helped millions of emerging artists build their careers by connecting artists to venues, festivals, brands, publishers, labels and fans themselves. Reverbnation offers emerging artists from around the world access to the global music industry. Myers released his debut album “Leo Rising” in 2013 during the DC Jazz Festival to critical acclaim. He was invited to perform at Blues Alley, the nations finest Jazz and Supper Club as reported by the New York Times, on September 3rd playing to a sold out audience. “I am just grateful to make my living doing what I’ve dreamed of doing my entire life. Washington DC has been very good to me, and I am glad the World has been given the opportunity to take notice!” said Myers. Aaron Myers performs a live Jazz show at the Black Fox Lounge every first and third Friday of the month from 9:30pm to 12:30am. Learn more about his work at http://www.aaron2.me. Waking up this morning felt quite awkward! For years I have been plagued by 5 simple words…”You have an old soul”! Being raised in the south (East Texas by the Trinity River) and having been influenced by my grandparents (both in their late 90′ s and have been married for 70 years) one could say that I’ve picked up some old habits, traits, mannerisms, and a love for “The Golden Girls!”. Anyone who knows me knows that I have worked in many different capacities, in many different states, doing many different jobs. One thing that I learned early on though, was that it was hard for many people to take a young man so seriously, especially someone who has crammed what some would consider 20 years worth of work into my short lifespan. So, I made a decision! If anyone were to ask how old I was…I would state that I was 27 years old. I was okay with this, and it seemed to put some people at ease. Once we created a successful working relationship with each other, I would usually tell them how old I was…and they would be amazed. This was 5 years ago. This Morning I woke up…and finally figured out what 27 years old felt like; and it feels pretty damn good! Scary…but good. There are some things that I have learned in these 27 years, but one thing that I have learned for sure, and am learning more and more each day, is to trust my GUT! For years I second guessed what I felt would be right, or a proper choice, but for the last few years, I have made great personal strides by learning to trust my intuition…and I am a better person for it. 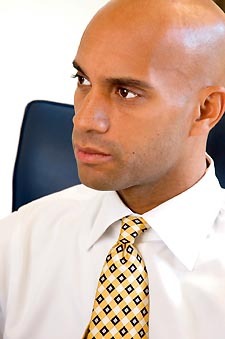 I, Aaron L. Myers, II, former Mayoral Candidate, Obama Field Organizer, and Global Family Day National Director, formally announce my endorsement in support of Adrian Fenty for Mayor of Washington DC. Not only do I believe he has done a superb job during his tenure as mayor, but I am convinced that if given the opportunity, he will be able to see his initiative through to completion; and it is these initiatives that I believe will best serve the citizens in the District of Columbia. Last night I had the privilege of attending a WIN (Washington Interfaith Network) candidate forum, where I had a chance to hear what each candidate had to say. It was at this forum last night, where Vincent Gray convinced me that he was not the man for the Job. Last night Vince Gray mentioned that he had stood before the organization many times, he also mentioned what he thought was going wrong in the District of Columbia. He even offered support for the initiatives for WIN. What he did NOT do, was show how his verbal support translated in tangible cooperation with the organization in the past. A gifted wordsmith, I am convinced that Vince Gray is a verbal candidate only, and that Adrian Fenty has a track record of proving that his actions match his rhetoric! So as I celebrate my special day on today, and prepare for the Aaron L. Myers, II Gala on Saturday July 31st, where we will raise money for the Human Rights Campaign, I offer this endorsement to a good man, a proven leader, and the next Mayor of the District of Columbia, Adrian Fenty. Reaching 100 is an Impressive Milestone: Even for a President! cake that came out of the kitchen. One hundred years is a long time for anything to be around, but this lady sat there with every bit of confidence in knowing…she made it. Voices sprang up from all corners of the small dining room, as “Happy Birthday” in various harmonies were sang to the small but yet powerful figure sitting at the head of the table. With anticipation, all the guests wondered the same thing, “Could she do it? Could she blow out the candles?” We all know that people drive from miles around to give presents, convey their well wishes, but the high point of the evening is to see all the candles blown out. The small frame stood grasping the table. As everyone watched, a beautiful lace fringed fan came into site, and a rapid motion began. A perfume scented breeze filled the room, and simultaneously blew out the light of every candle. With a big, beautiful grin she said in a sly but commanding voice, ” With all the love in this room, I’ll conserve the little bit of air I got left in these lungs, and let the air on the outside do all the work”. The room bursts in to laughter and grins all because she did it! She blew out 100 candles, and she did it her way. This confirmed to everyone that she was very much still in control, and that control was not to be underestimated by anybody! I don’t believe one could compare the wisdom of one hundred years to a mere one hundred days, but some could argue that Barack Obama has seen and experienced more in his one hundred days in office, than most will ever experience in a lifetime. It seems like a year ago, crowds stood in the cold inside and outside different gates, malls, and subway tunnel; just to experience the inauguration of the 44th President of the United States. The American people knew that there were many problems that needed to be solved, but for those precious moments, those problems halted their voices long enough to hear that sacred oath be taken at the Capitol. Those precious moments, would be the last moments Barack Obama would be void of responsibility for the most powerful country on the planet. Within a moment, meetings were scheduled, and this man went right to work…and he continues to work on his own terms! With strict direction to “Cut what doesn’t work”, his cabinet members left that meeting knowing that President Obama has a mission, and he intends on seeing this mission through to the end. On April 8th, President Obama established a White House Office of Healthcare Reform that provides leadership to the executive branch in establishing policies, priorities, and objectives for the Federal Government’s comprehensive effort to improve access to health care, the quality of such care, and the sustainability of the health care system. Although overshadowed by the budget, Obama’s attention to the need of upgrade within our healthcare system is imperative. Healthcare in the United States ranks last in the quality of health care among developed countries, with 16% of the population (in 2006) without health insurance. The argument among pundits, with heavy influence from the economy, is whether a public healthcare system would add to our national debt now, and take away from America’s financial independence in the future, or be a step towards sound investment in America’s future that protects employers and current/future employees. Nonetheless, within his first 100 days, Obama has begun to address this issue. (c) provide analysis and information with respect to the operation, regulation, and healthy functioning of the economy and of the financial and banking system. As deemed appropriate by the President, this analysis and information shall be provided to the Chairman of the Board of Governors of the Federal Reserve System, to any other agency with responsibilities related to the economy or financial markets, or to the National Economic Council. This action shows that President Obama is not following the lead of his predecessors by waiting for the financial system to fix its self, or by creating programs that might hinder the sustainability of a future government. President Obama has had 100 days of a fun fact finding mission, showing that even after the recession ends, the pain is likely to persist and the economy could continue to struggle as it strives to find a firm footing. Fingers have been pointed on both sides of the isle, with the American public convinced that not only did someone fall asleep at the wheel, but there was no one in the car to nudge and wake the driver. At this time not many are optimistic about seeing a quick turnaround in conditions. As late as this week, stress tests were given to United States banks, and with the results being released in May, most sectors central to economic growth is still found languishing. What I have mentioned so far is only TWO Presidential Actions, leaving out countless other bills signed into law that positively affect and protect; Equal Pay in the Workplace for women as well as the health and well being of children. The mustard of a President isn’t tested within his/her first 100 days in office, but its true test lies in posterity. The glimpse we have seen within these few months will not accurately or adequately discern the lasting imprint his actions, while in office, will have upon the framework and fabric of this nation. When asked the secret to a long happy life, Ida simply looked around the room and stated, “The secret I have learned was never up to me, but was put inside of me, and there’s nothing I can do about it.” Perhaps in regards to the office of president and what we the people can hope the office holder would like to attain while serving, might just be summed up by a man who only spent 45 days there.